Pods There are 15 products. Scabbard for Atlantean Sword of Conan. Made by hand in leather and various high quality leathers and finishes. Father scabbard for the Sword of Conan. Made by hand in leather and various high quality leathers and finishes. 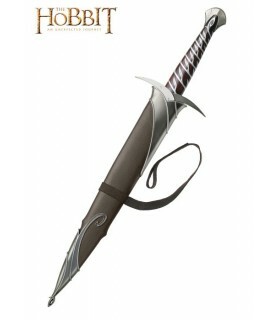 Official sheath for the sword Sting (Frodo) Hobbit and Lord of the Rings. ONLY INCLUDES THE POD. Made of leather with metallic finishes. 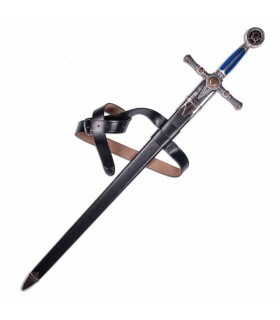 It is prepared to adapt to all officially licensed versions of the Sword of Sting. 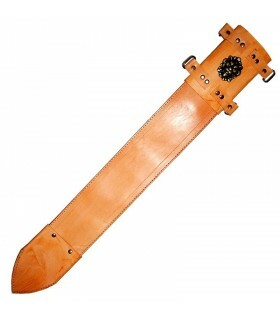 Sheath made of calfskin for battens with a length of up to 1 meter. Handmade leather sheath about 2 mm. thick. On the back carrying a Travilla to put it in his belt without carrying tahalí. P>Article written by hand in genuine leather of the highest quality. 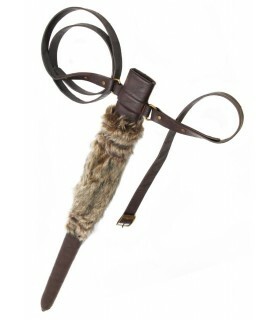 Sheath for Gladius swords, made of leather about 2 mm thick and decorated with a lion's head. The standard measure is prepared for leaves 55 centimeters long and 6 centimeters in maximum width. If you need the sheath outside these measures indicate on your order the length and width of the sheet. Article handcrafted leather of the highest quality. 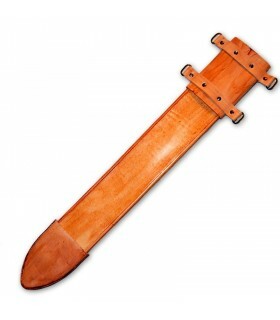 Sheath for Gladius swords, made of leather about 2 mm thick. The standard measure is prepared for leaves 55 centimeters long and 6 centimeters in maximum width. If you need the sheath outside these measures indicate on your order the length and width of the sheet. Article handcrafted leather of the highest quality. Handmade leather sheath of about 2 mm. thick with metallic plating. In the back it carries a travilla to be able to put it in the belt without necessity of wearing tahali. Craft made in authentic leather of the best quality. 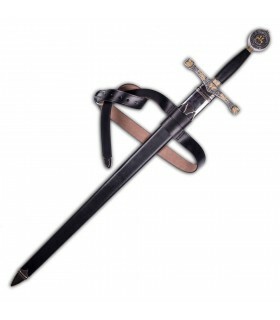 Exclusive high quality special sheath for the Excalibur Sword manufactured by MARTO. Made of wood and lined in leather. It is adorned at the top and bottom with metallic finials in nickel finish. It incorporates a double leather belt to be worn at the waist. Exclusive high quality special pod for the Templar Sword made by MARTO. Made of wood and lined in leather. It is adorned at the top and bottom with metallic finials in nickel finish. It incorporates a double leather belt to be worn at the waist. 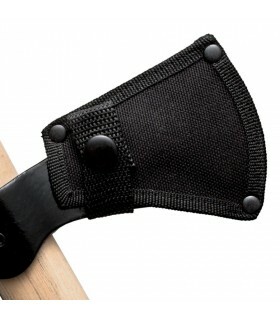 Exclusive high quality special sheath for the Masonic Sword manufactured by MARTO. Made of wood and lined in leather. It is adorned at the top and bottom with metallic finials in nickel finish. 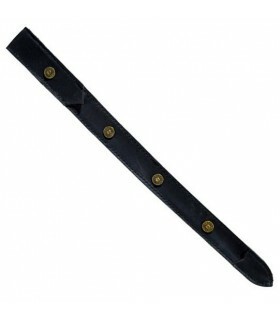 It incorporates a double leather belt to be worn at the waist. The scabbard of a sword is the blanket in which the blade of the sword is introduced to protect it from external factors such as moisture, water and powder. The sheath can be made of several materials: in the Middle Ages, we used a lot of neck, but we can now see them in plastic, metal or ecological skin. In the early Middle Ages (5th to 10th century), more basic materials were used, very easy to find and model. We used skins and leather of animals. 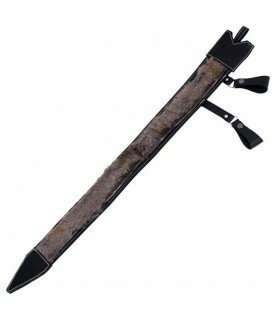 The scabbard finally showed a very simple appearance without special decorations. 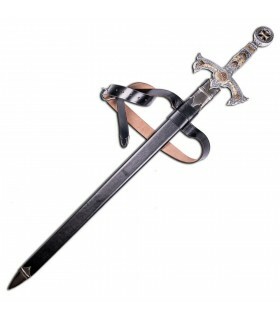 At the end of the Middle Ages (11th-15th centuries), more elaborate materials were used because more resistant scabbards were needed. The use of metal has started to become more and more common and sheaths have increased its quality. Sometimes they have been decorated with the skin of animals. 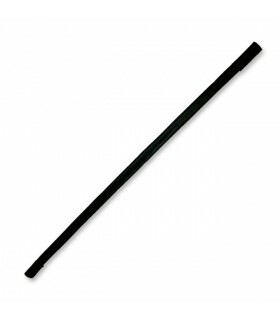 In the Renaissance, the scabbards were used to provide saber blades. The scabbards were normally made of metal, silver or gold; moreover, ceremonial swords very decorated, sometimes with precious stones. Nowadays, after a period in which swords have lost their importance because of firearms, scabbards have become a complement for the protection of historical swords, replicas or collectibles. The sheath of the Atlantean sword of the movie Conan the barbarian and the father of the conan must be emphasized. These sleeves have incredible finishes enriched with the skin of animals. Scabbards for swords with a straight blade. If you have a sword at home or if you are thinking of buying one, we can prepare a leather scabbard of the best quality, provided we have the measurements of the blade. If you have any doubts about this process or if you only need advice, do not hesitate to contact us.